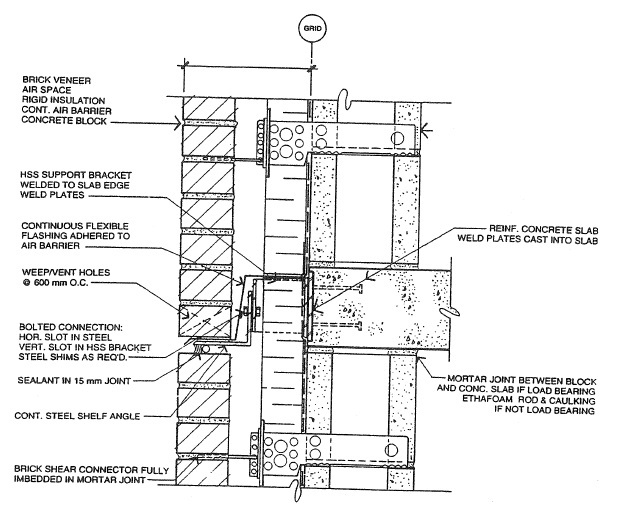 Exterior wall assemblies in severe environments pose special problems and require unique solutions. The assemblies are affected by the speed of construction, the choice of structural systems, the use and occupancy and other factors such as tolerances and moisture movements. The choice of system and the arrangement of its components in many cases influence the durability and serviceability of the cladding. This paper provides an overview of factors which affect the performance of cladding systems in severe climatic conditions and provides some guidelines as to the importance of these factors to the structural engineer designing such assemblies.